BSC Parcels – We ship and look after your parcels from collection to delivery. We ship and look after your parcels from collection to delivery. Surprisingly simple and surprisingly unusual. We are aware that carriage costs are a huge overhead for you and we are able to use our buying power to offer you competitive rates. If you are shipping anything from 40 to 5,000 parcels a month, we can arrange deliveries to Scotland, to the other side of the world or to the next village. Our small, friendly team are industry professionals with over 25 years’ experience. We have an in-depth understanding of the carriers which enables us to resolve your queries, give you answers and make sure that you always talk to a human being, not a machine. We value all our customers and it shows. Our aim is to offer the old-fashioned service of a small company with the network of some of the biggest carriers in the world. We are using some of the largest carriers in the world. BSC Parcels has been providing a carriage service since 1989. We started out shipping parcels for the publishing industry and have had a unique customer service partnership with DHL/Securicor, then Omega and now Yodel for more than 25 years. Then we called ourselves Booksellers Carriage but, as the range of goods we shipped widened, so the name became increasingly misleading. We have changed our name to BSC Parcels but will continue to offer our own, unique and professional service in dealing with your day-to-day customer service issues based on years of experience. 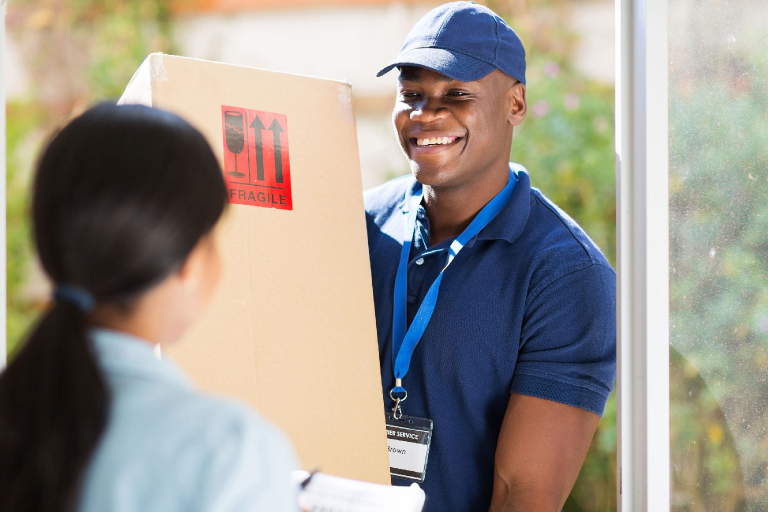 If you need a reliable, efficient and cost-effective parcel delivery service, get in touch. Our friendly team are very keen to discuss our offer with you, just fill out the form and we will get in touch with you as soon as possible. Our partner carrier for the UK. Yodel is the largest parcel carrier in the UK, handling over 145 million parcels a year and covering every postcode in the UK. A liveried van-based network for parcels up to 31.5kg. A packet service for parcels up to 3 kg using the Yodel network. A local network with extended delivery hours for parcels up to 31.5kg. Our partner carrier for European and international parcels. DHL is the world’s largest logistics company and a world market leader in air and sea deliveries. Reliable delivery service by air, depending on the destination and urgency of the parcel. Reliable delivery service by road, depending on the destination and urgency of the parcel. Fast and secure delivery to anywhere in the world. We’ve been using Booksellers Carriage for a number of years and find them extremely efficient and friendly at all times. It’s a pleasure to work with them. We’ve been customers of Booksellers Carriage for over twenty years, and greatly appreciate the friendly service we receive and their help in resolving any problems that arise. We have always received great customer service from Booksellers. The friendly staff are always ready to help with any problems or talk us through any new system upgrades.